Walmart and Target are among a group of two dozen retailers working on the introduction of an NFC mobile wallet which would compete directly with Isis and Google Wallet, the Wall Street Journal reports. Two dozen US merchants, including retail giants Walmart and Target, are working together to develop their own mobile payments service, according to the Wall Street Journal. According to people with direct knowledge of the retailers’ project, merchants say they are not satisfied with the mobile payment products that have been launched so far, which limit the merchants to providing personalized offers and coupons. Several also cited recent incidents in which malicious applications appeared on Google’s Android mobile device software. “What we see out there doesn’t make us very happy,” one executive involved in the venture explained. In the battle to win control of consumers’ mobile wallets, these secure element providers are at risk of putting so much focus on winning as big a slice of the pie as possible that they risk ending up with a severely reduced pie, or even no pie at all. Key players remain reluctant to accept the reality of what service providers actually want, especially in terms of how NFC as it is currently offered fits (or rather doesn’t fit) with their existing ways of doing business. *They can use the same pre-paid scheme they use in their card offerings in a mobile wallet. *They can sell (or give away free) NFC-enabled devices and have more motivation to do so in the same manner Kindle is a vehicle to buy e-books. * They own the customers and the transactions – not the banks or the mobile carriers. *They gain the most to learn from buying habits and can provide digital receipts and create loyalty apps. *They can equip their stores with NFC smart posters and immediately apply it when a customer checkout with their NFC phone. Sounds to me some people following NFC may have been barking up the wrong tree – it appears the retailers are going to be the real heros who will deliver this technology. Wal-Mart, Target et al simply do not want GOOGLE getting in the middle of the payment transactions when they can pocket all of the fees themselves. Frankly, if Wal-Mart and Target get into exclusive mobile payment solutions we can expect some anti-trust legislation to come thundering down (it will take Congress 5 years to figure out why this is wrong, but, eventually, they’ll figure it out). Wal-Mart, Target and Box Stores have put so many companies and family operations out of business through their slash-and-burn approach, there is no way I’ll adopt their mobile payment solutions. Maybe Google/Android will not approve The “Big Retail” app on their OS? 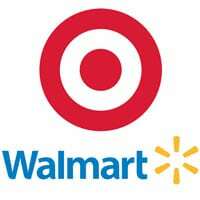 The largest smart phone OS saying “no” to Wal-Mart? That would be a fight worth watching?!? Interesting maybe the merchant instead of working on their own can issue their member card together with prepaid card issuers or banks. I don’t get the idea “which limit the merchants to providing personalized offers and coupons”. Does anyone have an explanation ?